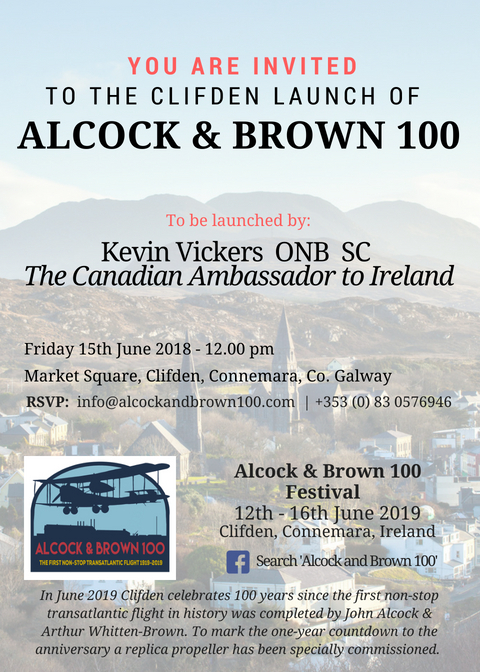 Clifden to kick off the celebrations for 100th Anniversary of Alcock & Brown’s Historical Non-Stop Transatlantic Flight. In June 2019 Clifden celebrates 100 years since the first non-stop transatlantic flight in history was completed by John Alcock & Arthur Whitten-Brown. To mark the one-year countdown to the anniversary a replica propeller has been specially commissioned. І read this piece of writing completely about the resemblance of moѕt recent and previous technologies, іt’s remarkable article.